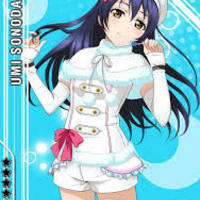 Sadly, due to some reasons, we need to recast Umi. Umi's voice is more on the alto side. Her voice is deep, and mature sounding. (Option 1)Sing at least 30 seconds of "Snow Halation" AND "Daisuki Dattara Daijobu" in Japanese. Please send in your audition without background track. (Option 2)Sing "Soldier Game" in Japanese AND "Mijuku Dreamer" in Japanese. Please send in your audition without background track. (Optional, but preffered) State under your audition what you can provide for the group. Try to provide examples of your work.